Die austauschbare Einlegesohle von EMU Australia. Anatomisch korrekt geformt und mit Lammfell ausgekleidet, ist sie ideal für deine wasserfesten Damenstiefel von EMU Australia. 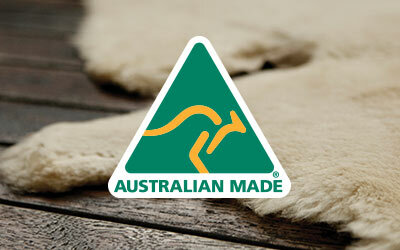 Designed to fit the women’s waterproof sheepskin boots range, the lush woolly lining and well-considered arch support of EMU Australia’s insoles will provide a new lease of life for your well loved boots. Available in black or natural sheepskin, they can be used as replacement soles with the Gravelly, Pedy, Moonta, Shoreline Leather Lo, Shoreline, Paterson Classic Mini and Paterson Classic Lo boots. Waterproof Insole is rated 4.0 out of 5 by 38. Rated 2 out of 5 by Tickey from Not comfortable I bought these to replace the inner soles in my old charlotte boots. The old inner soles were made of a softer more pliable material, whereas these new replacements are rigid and have an arch feature. I have tried the new inner soles and one foot is OK but the other one is not at all comfortable as the arch support feels it's in the wrong place for my foot. Perhaps if the soles were not so rigid it might be more tolerable. I have always loved my emu boots for sheer comfort but with these replacement soles they are no longer comfortable, so have put the old soles back in boots. Will probably look around for some non emu inners. Hope this review is useful and perhaps emu will redesign. Rated 2 out of 5 by Tickey from Uncomfortable I bought these a week ago. Have just put them in my charlotte boots and have to say they feel a bit synthetic compared to the original inner soles in my waterproof charlotte boots. Also the new soles are far more rigid and hard and have now got an arch support. Unfortunately a lot of peoples feet are not symmetrical and not the same size. My feet come in this category so although the right one copes with the new arch support, my left foot is extremely uncomfortable as the support is not in the correct position. Not sure I'm going to be able to use. Will just gave to carry on using the original inners and hope Emu take on the feedback from customers. I would like the originals. Emus are not suppose to be agony to wear. Rated 5 out of 5 by maggiemay from Very luxurious with deep pile just like the origin They are the best insoles ever and have given my five year old boots some extra life because they are now much more comfortable. Rated 5 out of 5 by Glen from New Life to old but loved EMUs Recently purchased a pair of lambswool inner soles - to assist in restoring to life a pair of utterly loved but old (really old) EMUs. Put the EMUS into a bucked of warm water and scrubbed hard. Once dry they, like freshly washed jeans, stood tall, taut fluffy, soft and warm. But their inner soles were worn almost flat. New set has brought them back to their former selves, albeit a wee bit worn on the outers. GREAT BUY. GREAT BRAND. GREAT BOOT !!!!! Rated 5 out of 5 by Atina60 from Cosy and comfortable I bought these as the original ones had worn down but my emu boots were still in good condition even after wearing them constantly. Now I get to wear my favourite boots again. Easy to order and prompt delivery. Rated 5 out of 5 by FionaB from Perfect Emu Insoles I love my Emus - best boots I have ever purchased ( I have had 7 pairs over the past years). However I needed a new insole. These cradle the foot and are oh so cosy. 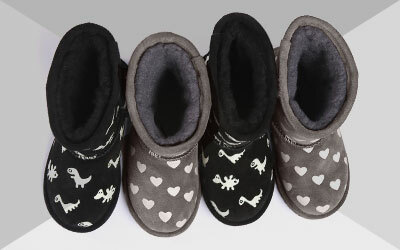 Rated 5 out of 5 by Nanny D from So soft n fluffy Not just for emu boots, they make any boot/shoe warm n toasty. New insoles save me spending out on new boots when the ones I've got are still perfectly OK!